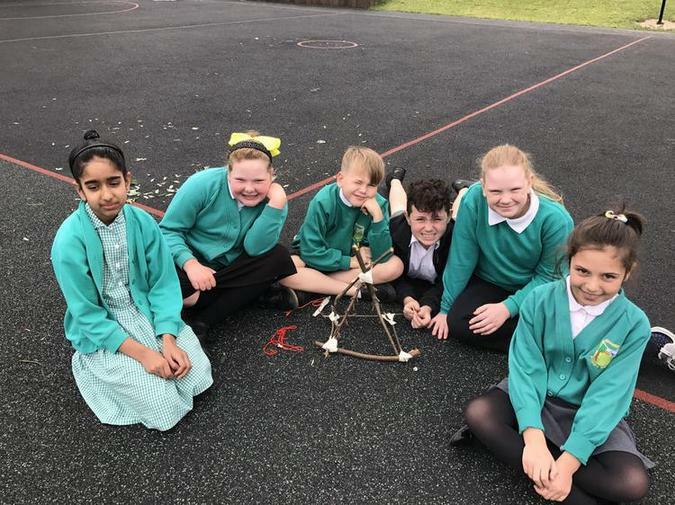 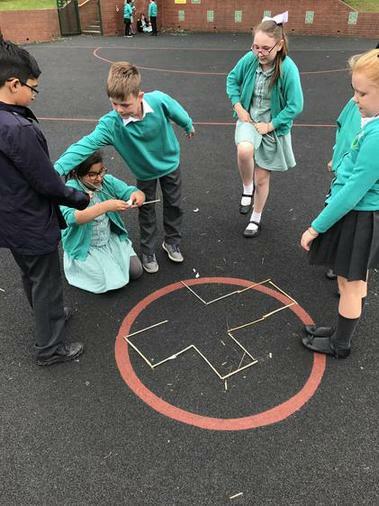 In geometry, Year 5 have been learning about nets of 3D shapes and how they are constructed using 2D faces. 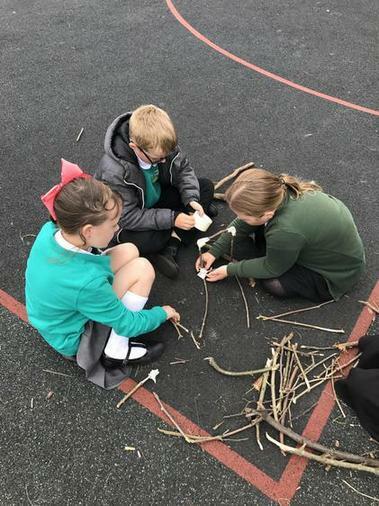 Today, we went out into our forest and collected sticks and twigs, then measured them and cut them to be of similar size. 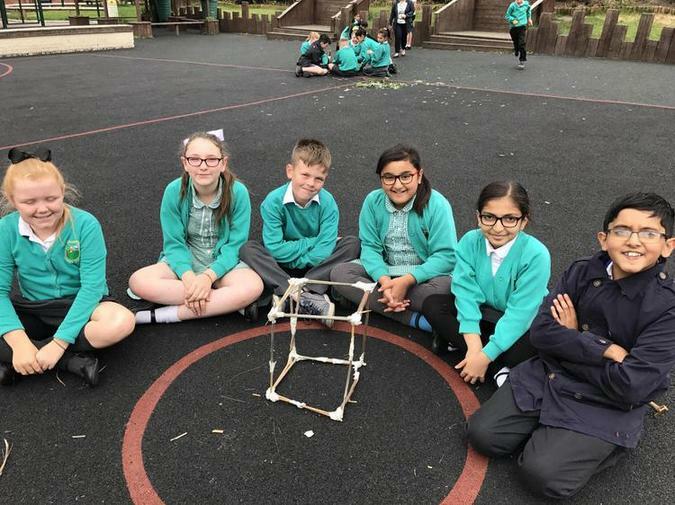 Then we worked in teams to build structures in a time limit. 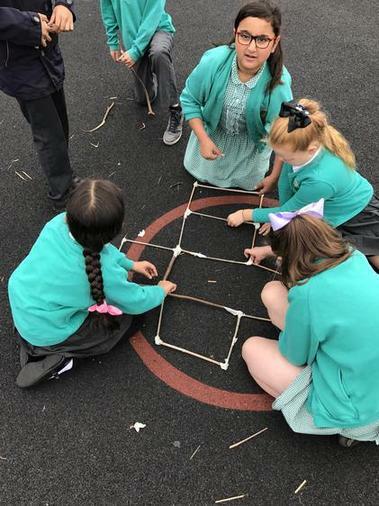 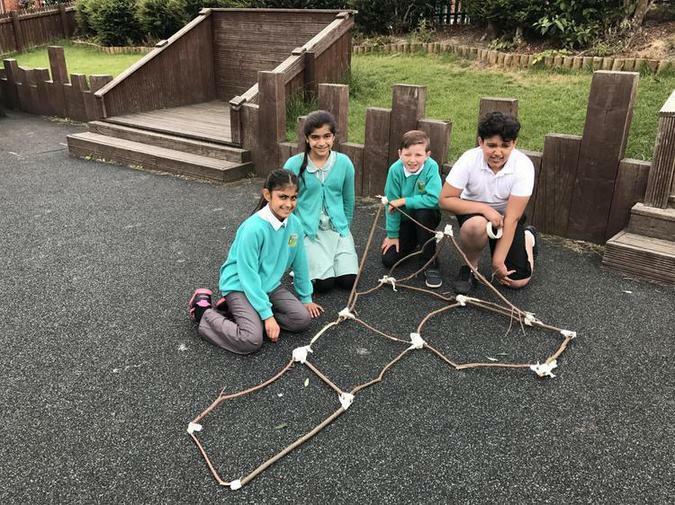 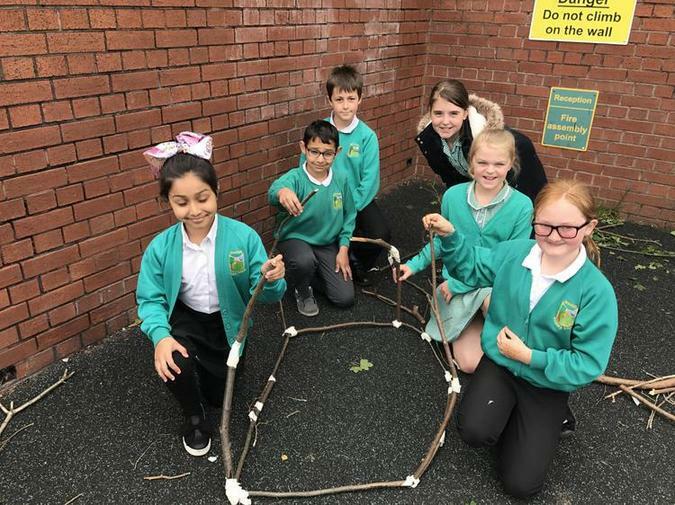 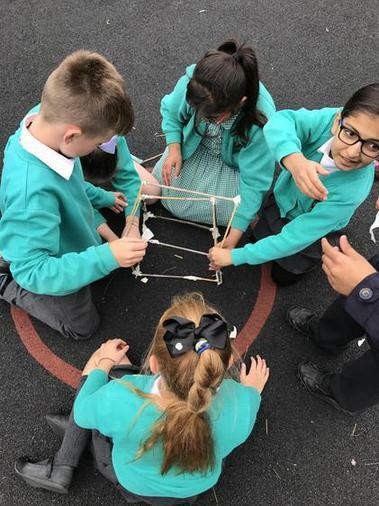 As you can see from the pictures above, children managed to create nets but some did not manage to build up their complete 3D shape. 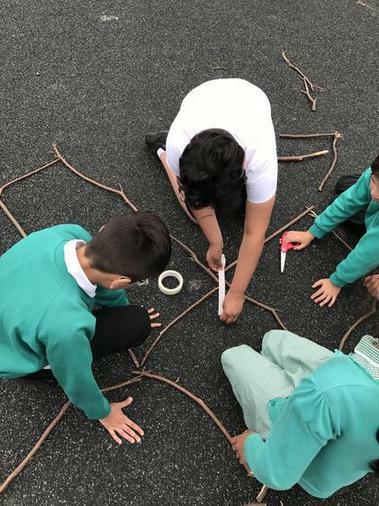 When we returned to class, children then discussed their shape's features and discussed how they would improve their shapes if they created them again. 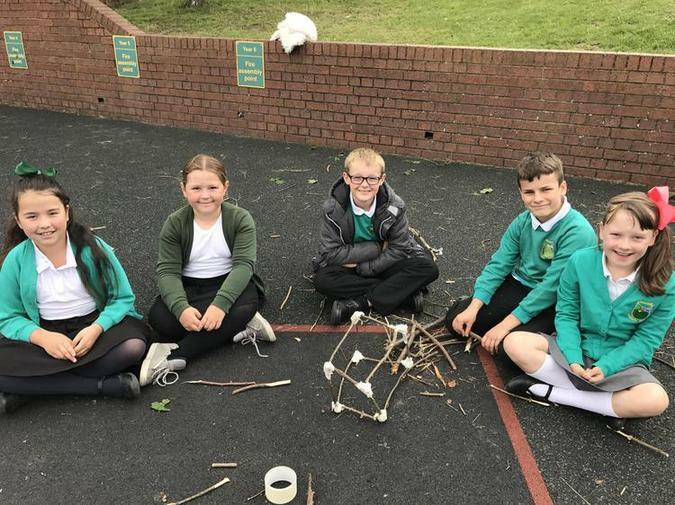 Many said they would use smaller and lighter sticks!